How the use of nonpolluting, zero-emission hydrogen as fuel could be the cornerstone of a new energy economy. Hydrogen is the most abundant element in the universe. An invisible, tasteless, colorless gas, it can be converted to nonpolluting, zero-emission, renewable energy. When burned in an internal combustion engine, hydrogen produces mostly harmless water vapor. It performs even better in fuel cells, which can be 2.5 times as efficient as internal-combustion engines. Zero-emission hydrogen does not contribute to CO2-caused global warming. Abundant and renewable, it is unlikely to be subject to geopolitical pressures or scarcity concerns. 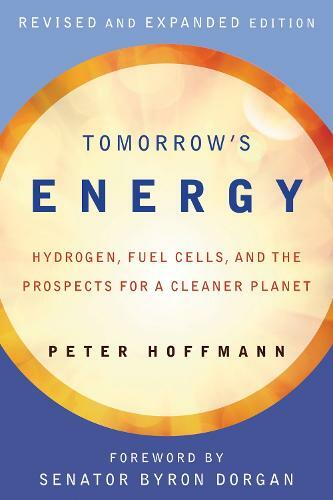 In this new edition of his pioneering book Tomorrow's Energy, Peter Hoffmann makes the case for hydrogen as the cornerstone of a new energy economy. Hoffmann covers the major aspects of hydrogen production, storage, transportation, fuel use, and safety. He explains that hydrogen is not an energy source but a carrier, like electricity, and introduces the concept of "hydricity," the essential interchangeability of electricity and hydrogen. He brings the hydrogen story up to date, reporting on the latest developments, including new hydrogen and fuel-cell cars from GM, Daimler, BMW, Honda, and Toyota. He describes recent political controversies, including Obama administration Energy Secretary (and Nobel laureate in Physics) Steven Chu's inexplicable dismissal of hydrogen-which puts him at odds with major automakers, German Chancellor Angela Merkel, and others. Our current energy system is a complex infrastructure, and phasing in hydrogen will take effort and money. But if we consider the real costs of fossil fuels-pollution and its effects, international tensions over gas and oil supplies, and climate change-we would be wise to promote its development.